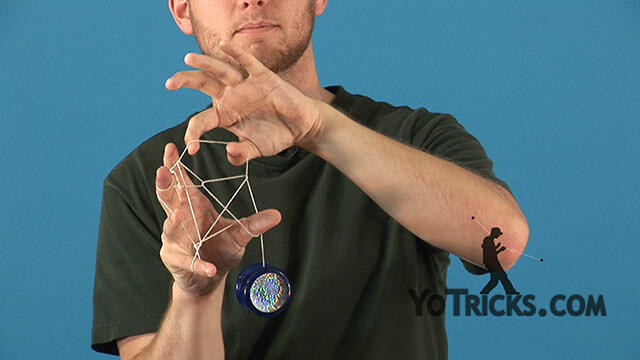 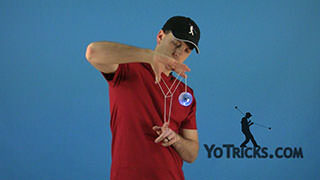 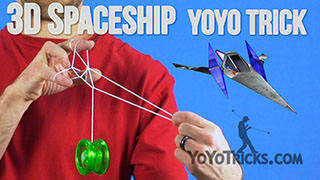 Darth Vader yoyo picture trick video. 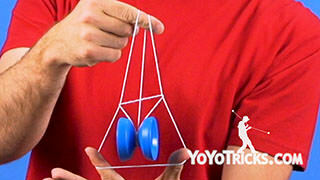 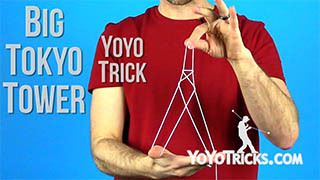 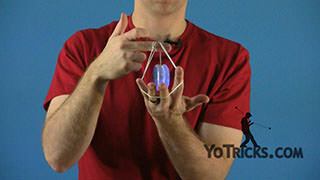 Darth Vader Yoyo TrickThe next trick I am going to show you is a picture trick. 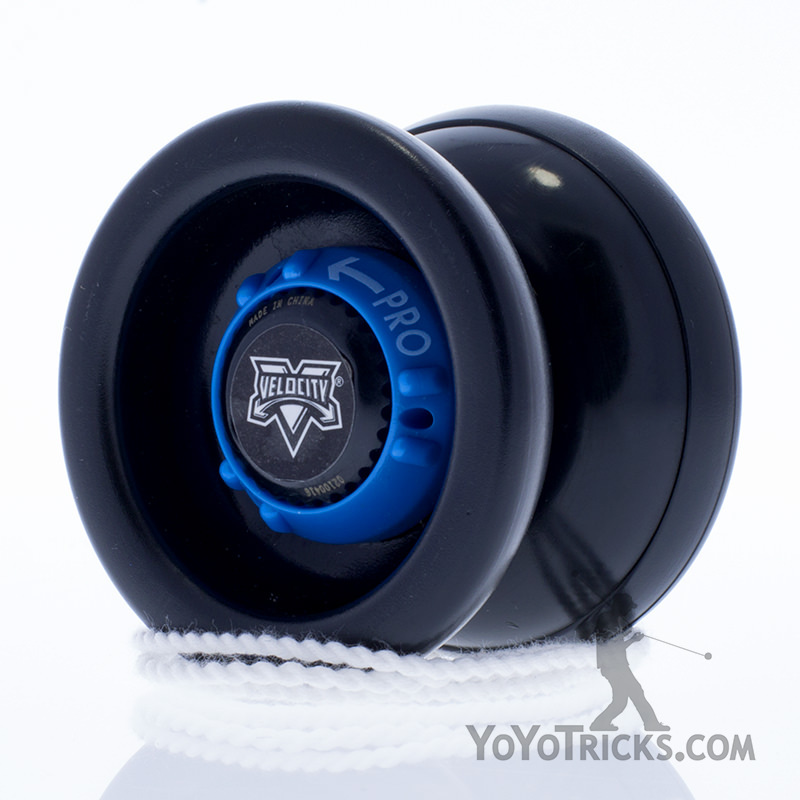 It is called Darth Vader. 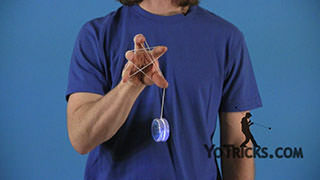 It looks like this. 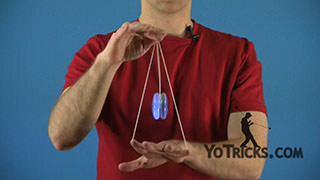 Just like all picture tricks, Darth Vader is easier to learn when the yoyo is not spinning and it is down at the bottom. 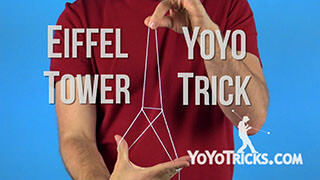 You actually start this trick off by doing an Eiffel Tower and you want to make sure to do your Eiffel Tower properly otherwise Darth Vader might come out looking like a deranged mutant instead of a Sith lord. 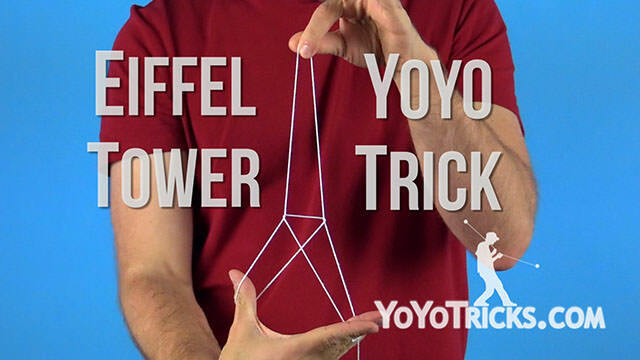 Once you have your Eiffel Tower you want to make sure that, instead of pinching (the string) between your middle finger and ring finger like you normally would, you want to pinch between your pinky and ring finger. From there you are going to turn the Eiffel Tower on its side, and take your middle finger and stick it through the center gap and actually pull the yoyo string through. 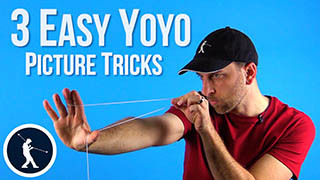 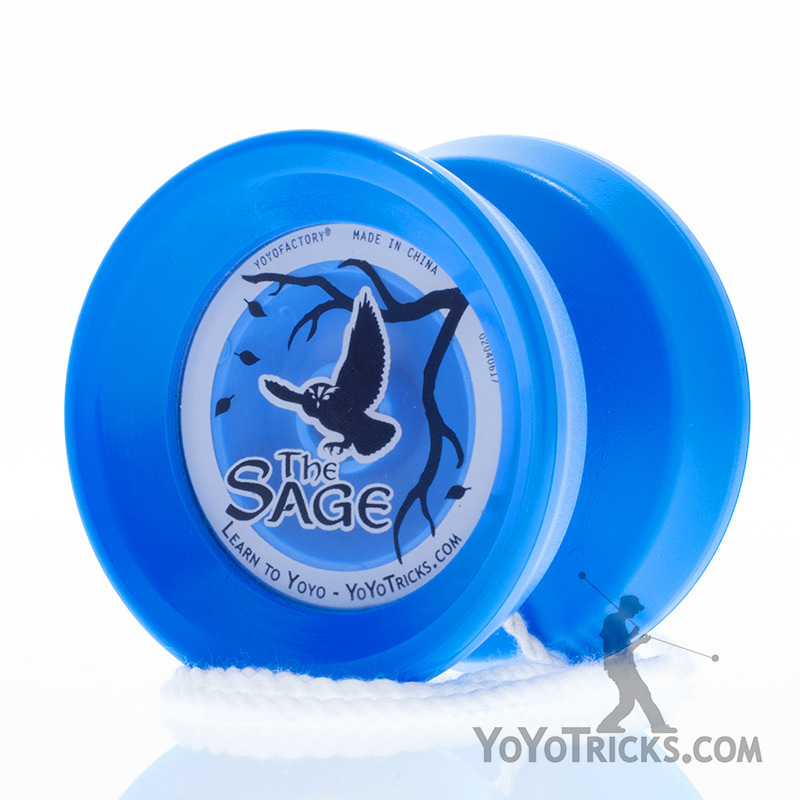 From here you are going to take your pointer and thumb from your non-yoyo hand, reach through the hole in front of them and grab the yoyo string. 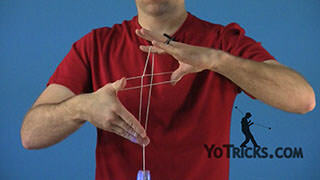 When you bring your hand to the side and turn it it is going to make Darth Vader. 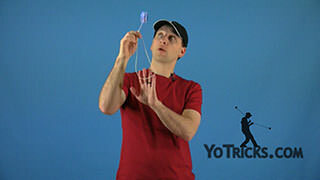 Some things to keep in mind is that if you use your pointer and thumb to spread the top it will help it to look a lot more like Darth Vader’s helmet.